At Simonik Transportation & Warehousing, we pride ourselves as the household moving and storage specialists. Whether your move takes you across the street or across the world, we are the professional New Jersey residential movers to assist with your move. Our global network allows us to provide the personalized service of a local moving company with the worldwide relocation capabilities of a global moving company. For your local, intrastate, interstate or international household move, Simonik Transportation & Warehousing will provide a secure, simplified relocation experience. Our comprehensive residential moving services range from packing, crating and unpacking to car/boat shipping, storage options and many third party services. NJ Local Movers: We can cater to your unique local move with our customizable services or just handle the heavy lifting for a cost-effective relocation. NJ Intrastate Movers: We can move you anywhere within the states of New Jersey and Pennsylvania with our competitively-priced in-state moving services. Interstate Movers in NJ: We move household goods all over the U.S. and Canada, and you can track your shipment with our satellite tracking services. Long Distance Movers in NJ: Moving coast to coast? From New Jersey to New Mexico? Philadelphia to Vancouver? Let Simonik handle your long distance relocation. NJ Corporate Relocation: Our customized corporate relocation programs adhere to your corporate policy and cater to the needs of your employees with our full menu of services. If you’re moving to another country, we’ll work with you every step of the way. We provide door-to-door service for each portion of your relocation including an air shipment to get you the necessity items quickly, the household goods shipment and the auto shipment as well. We work with only the best of the best partners in every country and our own move management coordinator will assist you with everything you need including all the documents required for customs clearance. Our team is ready to meet with you and assist you in making your move with us the best relocation you’ll ever have. 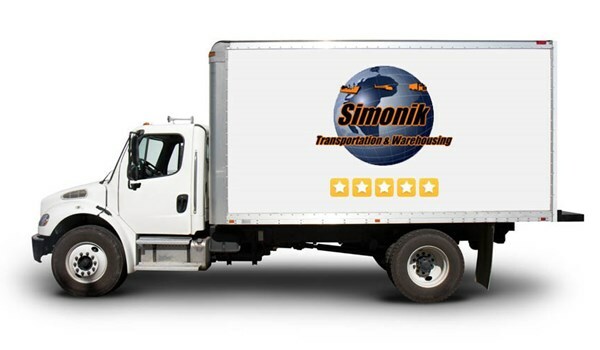 Let Simonik provide you with the best household move you'll ever have. Contact us today to hear more about our household moving services. Fill out our quote form for your free moving quote right now and work with the household moving and storage specialists.